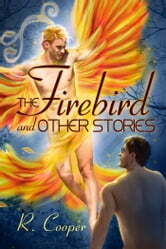 A firebird in 1930s Paris is drawn to a writer with a haunted past. Upon returning from fighting in the Pacific, a jaguar shifter finds a third-gender human on his doorstep. Early rock ’n’ roll DJ Hyacinth the fairy shocks his listeners with his admiration for his quiet assistant. During the AIDS crisis, a gruff, leather-wearing troll dreams of a settled life with a mixed-species elf across the bar. An imp, who remembers only too well how cruel the world can be, tells himself he’s content to stay behind the scenes—if only his chaotic, impish magic would stop getting in the way. And a shy human tending his poisonous and carnivorous plants is convinced no one will ever want him, certainly not the handsome werewolf grieving for a lost mate. Human or being, all must overcome fear to reach for love.